NOTE: If you're looking for our online gallery or to buy prints online, please click here. This page is about our physical gallery in Sunnyvale, California. When you visit RBA Gallery, you will be welcomed by myself. With art pieces on display everywhere you look, and many more in stock, a visit to RBA Gallery will be an experience you probably won't be able to have anywhere else. Everywhere you look, the captivating imagery of nebulas, faraway galaxies, or the magnificent nightscapes from some of the most amazing places in the planet will inspire you in a very personal way. RBA Premium Astrophotography Gallery is by appointment only, with the artist himself. This way, you're guaranteed a 100% personal, undivided and unhurried experience only the most discriminating collectors get to enjoy. If you're in the San Francisco Bay Area and would like to schedule a viewing session or consultation, please contact us via email at rba@deepskycolors.com. In 2014 I decided to open a small gallery featuring my deep-sky and nightscape photography. After a lot of work and overcoming a number of challenges along the way, on January 9, 2016 (also my birthday! 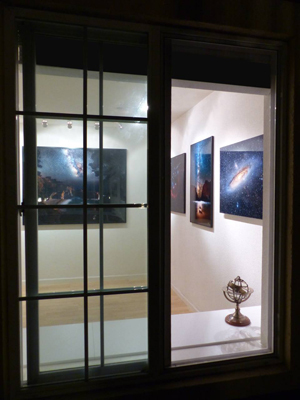 ), RBA Premium Astrophotography Gallery finally opened in Sunnyvale, in the heart of Silicon Valley, California, becoming the first (and only at the moment) art gallery 100% focused on astrophotography to ever open its doors.